Ever watch people eat bugs and creepy crawlies on Survivor, Fear Factor or any number of shows on the Food Network and say to yourself, "I could do that"? 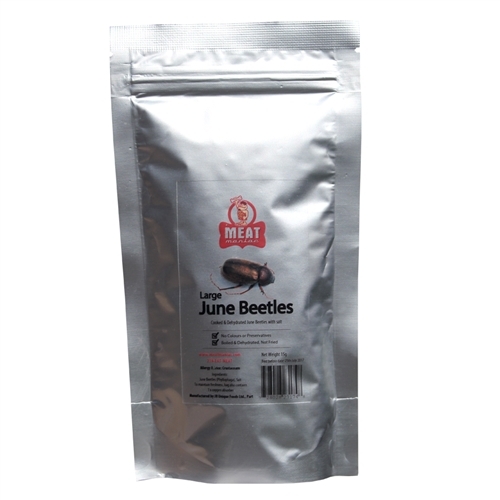 It's about time for you to eat those words and try our Salted Large June Bugs. These are 100% real edible june bugs (june beetle) seasoned with salt. They are tasty and delicious, pack a nice crunch and are great for kids parties and Halloween. 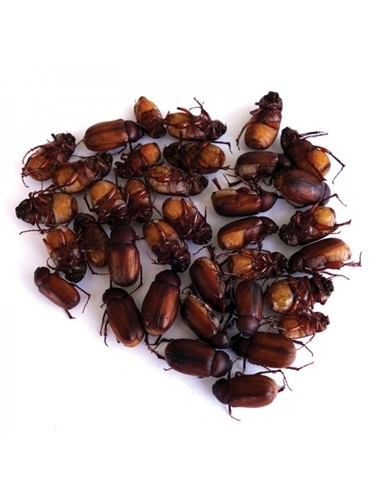 Our june bugs are boiled & dehydrated, not fried (15g).